Whether you are using a backpack for school, work, or travel, selecting the right backpack can help reduce strain and prevent back and neck injuries often related from improper use. Related injuries include poor posture, stress on the soft tissue in your neck and back, and unnecessary strain on muscles and joints. A padded back helps reduce pressure and prevents the backpack’s contents from digging into your back. Having a backpack that has padded, contour shoulder and chest straps reduces pressure and balances the weight. Look for a backpack with thickly padded, adjustable shoulder straps (2 inches wide) and an extra hip strap. Adjust the shoulder straps so the bottom of the pack sits 2 inches above your waist. Waist belt or hip strap helps distribute some of the load to the pelvis and legs. Since your legs are more used to carrying weight, you won’t fatigue as quickly. Having compression straps on the sides or bottom of the backpack help compress the contents of the backpack and stabilize the articles. Pack by weight, not size. Instead of folders or binders, put the heaviest books closest to your back. Wear reflective material for added visibility to drivers at night or when visibility is generally poor. Using both shoulder straps distribute the weight of the pack evenly and promote a more normal posture. Using only one strap results in the entire weight of the bag being loaded over one shoulder. Over time, leaning to one side can result in lower and upper back pain, and scolioses (curves in the spine), as well as strain to the neck and shoulder girdle. Stand tall with your head and neck aligned, your breastbone lifted and your shoulders level. When choosing a backpack, look for one made of lightweight materials, like canvas. A full backpack should never weigh more than 15 % of your body weight. For example, if you weigh 52kg (115lbs), the pack should not weigh more than 7.8kg (17lbs). If you can’t carry your backpack and talk without getting out of breath, you’re carrying too much. Make sure it is not oversized ‘to carry more’. The shoulder straps should fit comfortably and not dig in to the shoulders or arms, allowing the arms to move freely. The bottom of the pack should rest in the contour of the lower back. 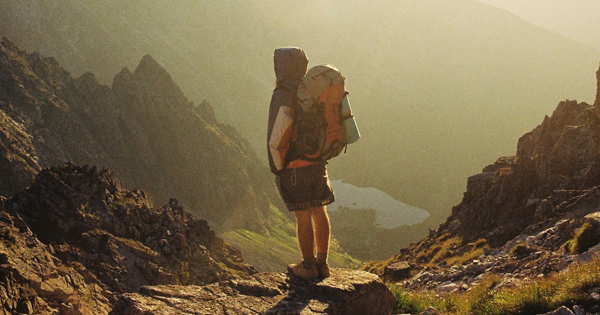 Backpacks for hiking and camping provide additional support through frames and special straps. By following these tips, it will prevent you from getting back and neck injuries.